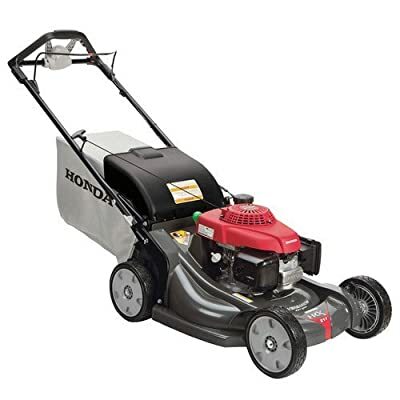 The Honda HRR216K9VKA Gas Mower is a walk behind lawn mower that can be used for residential and commercial purposes. I considered this mower to be the best among the many mowers available. The various sections I discuss on the Honda HRR216K9VKA Gas Mower review will hopefully make you see why I believe this. The equipment is readily available in many shops both online and physical. Mowing and mulching of vegetation that comes up in our lawns is a crucial exercise. The task of mowing the grass is carried out often in a bi-monthly or even weekly depending on the rate of vegetation growth. It might be a daunting task for people to choose the right mower for the job. The main things to consider before settling on a mower include the reliability, durability, ease of handling and of course the cost. The Honda HRR216K9VKA has smooth rolling wheels with 8-inch ball bearings which is great because it is able to move along various terrains without much difficulty. The wheels have a height adjustable feature to set the height depending on the height of grass for easier mowing. The handle is a 2-position type, with smart drive that folds for easy storage. The smart drive control handle is adjustable for different heights. The cutting height adjustments are six between 1-1/8 – 4 inches. Also, the smart drive handle can be operated with one hand enabling one manage two tasks at once. For example, holding onto protruding twigs and shrubs to access mowing area. The handle is made of foam grip material that makes it comfortable to hold. Each side of the handle is contoured up and down for trouble-free operation. One of the features of this mower that I have come to appreciate is the variable speed that gives control to the user. You have the ability to control whether the mower moves very fast or slow depending on your preference. You can adjust the speed from 0 to 4 mph which is pretty manageable. If you like a little intensity while working, I would encourage you to try out the 4mph speed. The speed control is made possible by the smart drive at the handle. 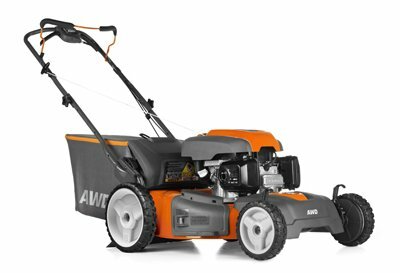 It has dual 21-inch micro cut blades that facilitate mowing and mulching operations. The blades ensure a fine cut that lasts making the lawn uniform. This feature increases the functionality and efficiency of operation. It has a clip director, a door at the back of the mower that allows shifting from mowing to mulching operations. Also, the door separates the area with grass with the other sections of the mower. It has only two cables within the side which are easy to manage. They are not easily caught by the mower or vegetation bringing about damages. The GCV160 Engine is extremely powerful making it the right choice for mulching and mowing. The fuel is added through a fuel nozzle. The nozzle is wide enough to add fuel into the equipment without spillage. For management, an on and off fuel valve for maintaining the mower especially when not in use. The Honda gas mower has and air cleaner which is easy to service and manage. Another important feature is the 2.4 Bushel bag for discharge. The bag is large enough to accommodate mowed grass and can be easily be detached to dispose of the contents. The drive belt may skip out during mowing operations when the belt keeper is not tight enough. The system of Zone Start kills the engine when the flywheel lever is let go. It also causes a manual fuel shut off. The Honda HRX217K5VKA is another product of the Honda Company. 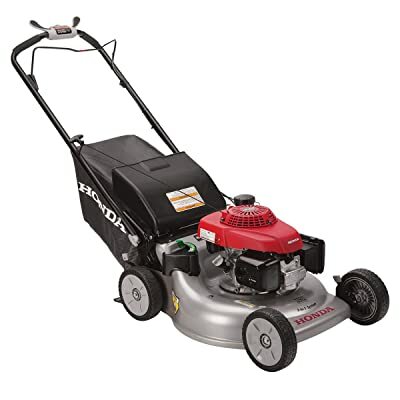 It uses a twin blade micro cut system that results in high-quality mowing. The blades are located in a deck that is made of high impact resistant material free from rust, dents or corrosion. The mower speed can be easily adjusted using the speed adjust dial and then initiating the select drive control. This feature is important as it facilitates a comfortable and intuitive speed control. It has a Versamow System that allows the user to mulch, shred leaves, discharge and bag the materials. The clip director knob enables you to control the amount of materials that is mulched and bagged. Furthermore, this can be done without the use of other tools and attachments. The advantages of this mower are that it starts easily. It is also very fuel efficient and has a strong GCV190 engine making it durable and reliable. The Husqvarna is a mower with a 190cc engine. It has a 3 in one deck that is 22 inch. The deck of this mower gives the option of mulch, side discharge or bagging. You are able to control the speed or pace of movement using the auto walk wheel drive system that is self-propelled. An exclusive feature of this mower is the all 4×4 wheel drive and hi-wheel. This feature provides movement in all types of terrain. From the Honda HRR216K9VKA Gas Mower review, I would highly recommend the use of this equipment. It has some good features such as the variable speed made possible by the smart drive. Also, the micro cut dual blades that cut leaves and other materials into small little pieces. Other important features include the powerful engine, the clip director and air cleaner system. All these features ensure the Honda stays fully functional and easy to maintain. The pros of using the gas mower outweigh the cons. The most important include the energy efficiency, its easy to store and the ability for it to start with one start. Other similar products in the market include the Honda HRX217K5VKA and the Husqvarna 961450021. Try out the Honda HRR216K9VKA Gas Mower today to enjoy the benefits.